St. Ignatius Brianchaninov: The Lord remained silent before Pilate and Herod . . . The Lord remained silent before Pilate and Herod; He made no attempt to justify Himself. You must imitate His holy and wise silence when you see that your enemies accuse you, with every intention of certain conviction; they accuse only with the purpose of hiding their own evil intention under the guise of judgement. This entry was posted in Sayings from Saints, Elders, and Fathers, St. Ignatius Brianchaninov and tagged Enemies, Evil Intentions, Falsely Accused, Herod, Judgement, Justification, Pontius Pilate, Silence on October 3, 2015 by . St. John Chrysostom: Wouldest thou learn words of thanksgiving? Hearken unto the Three Children . . . This entry was posted in Sayings from Saints, Elders, and Fathers, St. John Chrysostom and tagged Chastisment of God, Confession, God as Judge, Guilt, Judgement, Judgement of God, Old Testament Events, Old Testament People, Prayer of Azariah, Righteousness, Righteousness of God, Scripture Book of Daniel, Sin, Thanksgiving, Three Holy Youths on November 27, 2014 by ocqadmin. 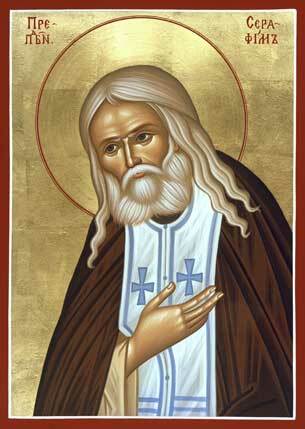 St. Seraphim of Sarov: One should not oppose authorities . . . This entry was posted in Sayings from Saints, Elders, and Fathers, St. Seraphim of Sarov and tagged Authority, Chastisment of God, God as Judge, Judgement, Judgement of God, Obedience, Sin on September 22, 2014 by . St. John of Kronstadt: ‘If you fall, rise and you shall be saved.’ You are a sinner, you continually fall, learn also how to rise . . .
‘If you fall, rise and you shall be saved.’ You are a sinner, you continually fall, learn also how to rise; be careful to acquire this wisdom. This is what the wisdom consists in: learning by heart the psalm, ‘Have mercy upon me, O God, after Thy great goodness,’ inspired by the Holy Spirit to the king and prophet David, and say it with sincere faith and trust, with a contrite and humble heart. After your sincere repentance, expressed in the words of King David, the forgiveness of your sins shall immediately shine upon you from the Lord, and your spiritual powers will be at peace. The most important thing in life is to be zealous for mutual love, and not to judge anyone. Everybody shall answer for himself to God, and you must look to yourself. Beware of malice. This entry was posted in Sayings from Saints, Elders, and Fathers, St. John of Kronstadt and tagged Asking Forgiveness, Confession, Falling Down Getting Up, Forgiveness, Forgiveness of God, Judgement, King David, Love, Memorization, Old Testament People, Psalm 50, Repentance on March 26, 2014 by .